This complex is a contemporary variant on the typology of the country estate, where the buildings lie beyond a green prefatory space. Twenty-five apartments for the elderly are accommodated in four units in the north-eastern corner of the site. A shared carport marks out a semi-public internal courtyard. 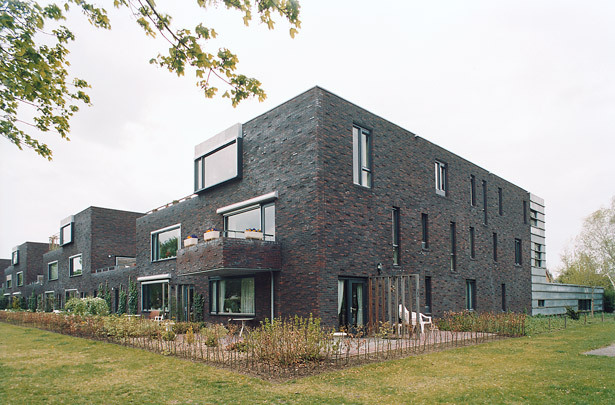 The facades consist of brick planes with a pattern of projecting bricks, wood panelling and zinc. The angular forms, natural materials and deliberately untidy layout of the courtyard draw the residential units into the landscape.